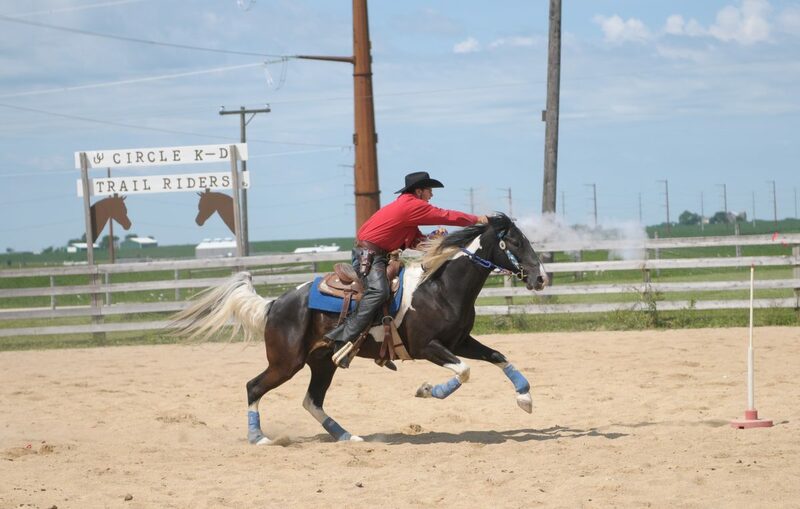 THINKING ABOUT TRYING YOUR HAND AT COWBOY MOUNTED SHOOTING? One of the nation’s fastest growing equine sports. The Northern Illinois Outlaws is affiliated with the Cowboy Mounted Shooting association we follow all CMSA rules and guidelines. Doesn’t matter if your an old pro or a greenhorn who just wants to get started. You’ll find the Outlaws to be the friendliest group of people you will ever meet. We believe that everyone should have fun and enjoy themselves while participating in this sport. Safety is our number one concern. You won’t find a lot of “big hats and no cattle” to worry about. These Outlaws are good people with common sense we are here to help you learn the sport and to have a great time! Check our schedule for upcoming events and come hang out and see what you’ve been missing.